| In this tutorial we’ll show you how to develop a web-based application, embed it to your WordPress website using a database platform called Caspio, and develop it without writing a single line of code. We’ll also show you how to integrate a Google Map to pinpoint the location of your database records. 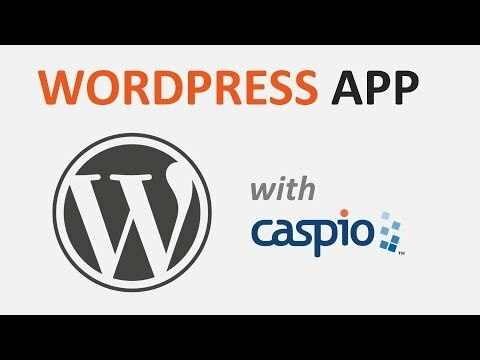 This is a full on tutorial on how to make a wordpress website and application using Caspio’s point-and-click tools. No coding experience is needed to follow along and watch this video. We’ll cover alternatives to DreamWeaver, asp.net, SQL, and other coding platforms. Caspio empowers anyone to quickly create online databases, web applications, and web forms, all without writing a single line of code. Using intuitive app-building wizards, now you can simply “point-and-click” your way to creating powerful online database apps that deploy seamlessly to your own website, intranet, CMS or blog. Trending WordPress CMS Sample Sites related to Arch Linux products, subscribe NameWebHost.com website, blog, social media groups and pages.